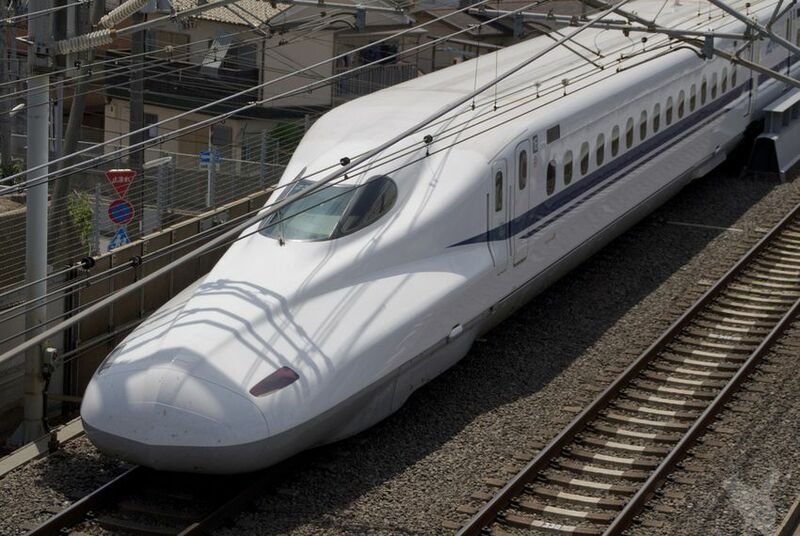 On a 5-4 vote, the Senate Transportation Committee approved a bill Wednesday that would hobble a private company’s plan to build a $12 billion high-speed rail line from Dallas to Houston. A bill that would hobble a private company’s plan to build a $12 billion high-speed rail line from Dallas to Houston passed out of a Senate committee Wednesday, spurred by concerns that private landowners would see their land taken against their will for the project. Currently, hundreds of private firms have eminent domain authority in Texas, including pipeline companies, utility companies and telecommunication firms. More than a dozen private railroad companies also have that authority, according to an unofficial list maintained by the state comptroller. Yet at Wednesday's hearing, Republican senators expressed concern that a private company was going to use eminent domain authority for a for-profit venture. “Eminent domain is probably the most horrific power that the government has, and to dole that out to individual companies that can misuse that or use it for projects that result in profits, we have to be very careful about doing that,” Hall said. Since it first announced its plans for the project in 2012, Texas Central has touted itself as a private company uniquely positioned to make the first successful high-speed rail line in Texas. The company plans to purchase trains from the Central Japan Railway Company, which has operated bullet trains in Japan for decades. Although Gov. Rick Perry never took a public position on the project, he met with Central Japan Railway Company President Koei Tsugi during a trip to Japan last year. Kyle Workman with Texans Against High-Speed Rail, which was formed in response to the Texas Central project, said Wednesday that there are many private landowners in communities along the route who do not want to sell their land no matter the asking price. “The use of eminent domain basically gives this private company the ability to override the needs and wants of people that are in the middle,” Workman said. Texas Central President Robert Eckels said the company has already been in talks with landowners who could be impacted by the project and acknowledged there have been some holdouts that might require the company to resort to condemning their land through eminent domain. Yet he argued that a private company would be able to compensate those landowners better than the public government. During the hearing, Kolkhorst said the company’s plan to build an elevated track was among the reasons she felt Texas Central should be treated differently than other private rail firms. Texas Central officials said that they were working to fight against misinformation about the project in various communities, including concerns that the rail line would block roads. They said the train line would have overpasses and underpasses throughout the route. Lawless also noted that the bullet train’s footprint over its 240-mile route would be 100 feet wide and 3,000 acres total, a far cry from the Trans-Texas Corridor, which was expected to be 10 times wider than that in some areas. The federal government, which must approve any new passenger rail system, is in the middle of an environmental impact study of the project, which is being paid for by Texas Central. Kolkhorst acknowledged during the hearing that her bill would not stop the federal government from using eminent domain authority to develop the bullet train line. She said the goal of her bill was to ensure the company didn’t have “the state’s blessing” to use eminent domain. Eckels said he didn’t understand why lawmakers would want to potentially increase the federal government’s role in the project. “Quite honestly, I’d rather do this as a Texas project rather than rely on the federal government to tell us what to do,” Eckels said. Kolkhorst’s bill is one of a handful filed this session aimed at impacting Texas Central’s project. A bill from state Rep. Will Metcalf, R-Conroe, would require the elected officials of every city and county along the route to approve the project. It has yet to be scheduled for a hearing.